We're getting to this uncomfortable point in games where our distinctions between AI and realistic human behavior are increasingly arbitrary. I don't mean to sound like a kook—we're still probably decades away from true artificial intelligence. But there may come a day where the objects I'm controlling or killing or experimenting with in video games are smart enough to be considered almost human. And what are the ramifications there? What I'm trying to say is that Clockwork Empires makes me uncomfortable—and it's not because the game draws on the Lovecraft mythos for influence. 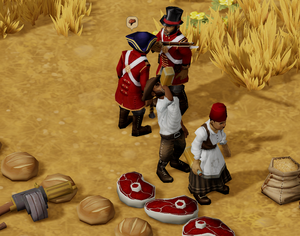 Clockwork Empires is a city builder set in a pseudo-Victorian/British colonial period. On the surface that's not too exciting. We've had quite a few historical city builders lately—Banished, 1849, and now this. That's a few too many games where I'm gathering and managing resources in hopes of building up my tiny frontier town. At least, for me. But where the other two games strive for some sort of historical accuracy, Clockwork Empires uses Victorian-era horror and science fiction as a jumping off point. As in, jumping off a cliff because you joined a cult and went mad after summoning the old gods to your weekly meetings. Drinking and arguing is all part of the day in the life of a Clockwork Empires civilian. If there could be such a thing as the "Saints Row of city builders," it's Clockwork Empires. Your civilians can do drugs. Your civilians can drink to excess. Your civilians can eat human flesh. Your civilians can start holding esoteric meetings when bored, eventually drawing out the fish people to come attack your village. It's a crazy and incredibly weird game, which is no surprise given its pedigree—this is the same team that made Dungeons of Dredmor, probably the silliest roguelike of all time. And I don't mean that as an insult. Dungeons of Dredmor's humor only masked an impressive technical competence and a game with tons of depth and complexity. And the same looks to be true here. Every character in the game has a "memory." The developers of Clockwork Empires, the team at Gaslamp Games, are so nonchalant about this feature that it doesn't even register immediately during my demo. This is where Clockwork Empires starts to get real weird for me. Every single event in each character's life is tracked, small and large. This process then helps the characters in question draw conclusions for future, similar events. Characters learn. They adapt. For the sake of example (and because it's the example I saw in my demo), let's bring back the fish people. One if by land, two if by OH NO KILLER FISH PEOPLE. So the fish people rise up from their nearby lake and enter your town, tridents in hand, gills flapping in the breeze, the scent of putrid lake-bottom wafting in your nostrils. They're here to murder your fledgling village, and it's up to your soldiers to stop them. Your soldiers run and grab guns, like the good little militia they are. They start popping off rounds at the fish people, but the fish people are tenacious. They take down one of your soldiers. Then two. Then three. The fourth soldier? Well, she's now surrounded by the bodies of her dead compatriots, and her brain has studiously stored this information in her head. Seriously, you can pull up a list of the last things her brain has "remembered," and those deaths are in there. Her resolve finally breaks, and she runs away. Not only does she run away, but after a few minutes standing behind a house and looking haunted by her recent past, she walks over to your village's stash of supplies and starts pounding alcohol—drinking to forget. Clockwork Empires is full of small, emergent moments like this. Like Dungeons of Dredmor (or, for a more apt comparison, Dwarf Fortress), the game looks to be built on so many interconnecting systems that eventually crazy and "unpredictable" events bloom from sheer chaos. But it's not all drinking and mayhem. 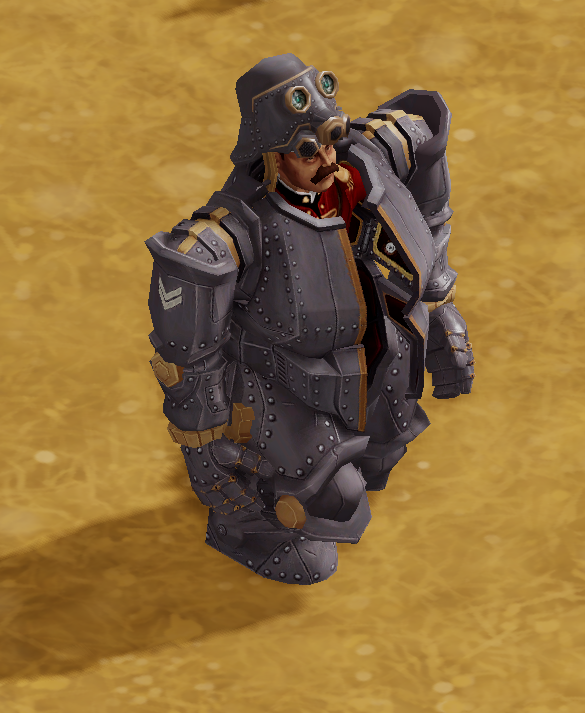 Clockwork Empires has Steam Knights in true steampunk fashion. And at the heart of it all is this memory system. Sure, it's rudimentary AI at best. Sure, we've seen similar (though arguably simpler) systems at play in, for instance, The Sims or The Elder Scrolls' Radiant AI. But as I said, we're drawing closer and closer to that arbitrary line between what constitutes real human behavior and what we can chalk up to programming. That's a scary (and admittedly intriguing) line, when it comes to games. The end result is a game that's tailor-made for telling stories, even though it has no concrete story itself. Clockwork Empires looks like the type of game where you can't wait to go to class or work and tell your friends about the crazy stuff that happened in your village, only to have one of them respond with something equally crazy that you didn't even know could happen. That type of game doesn't come around often, and Clockwork Empires is still a fair ways off from release. If, however, Gaslamp can hit even half of what my demo seemed to promise? This is going to be a game to watch out for.